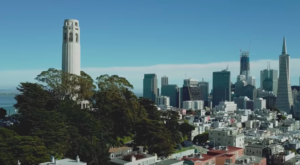 San Francisco is a city known for parades and celebrations. 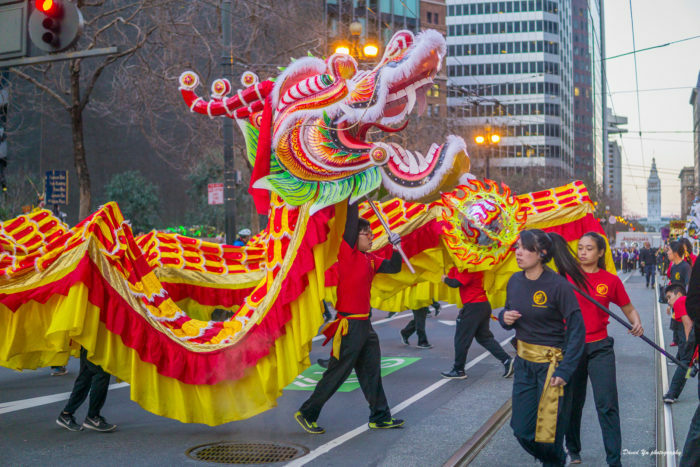 The Chinese New Year Parade in Downtown San Francisco is a must-see. 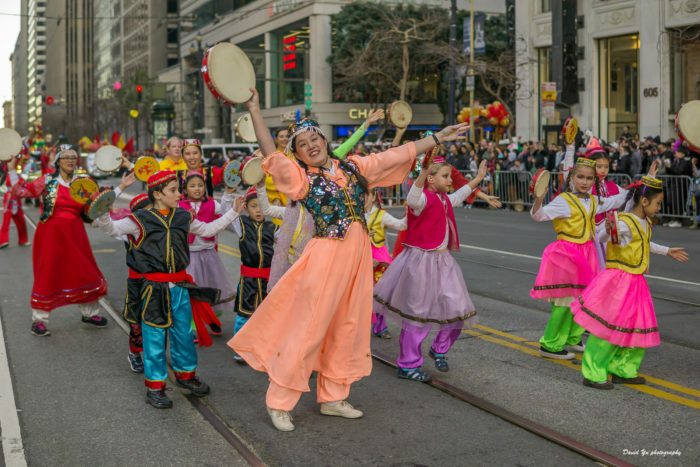 Named one of the top ten parades in the world by International Festivals & Events Association, this parade offers the best of San Francisco and more. 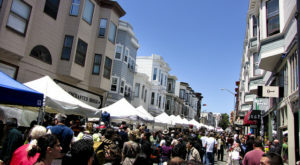 Learn more about one of the biggest parades in the city that is free. The colors of this parade will mesmerize and dazzle most anybody. 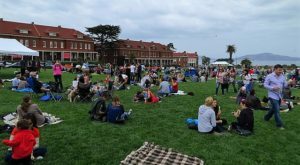 Be prepared to soak in all of the tradition, fun, and excitement of this event. This is an event that is for the whole family, so bring the kids, older ones, and the curious. 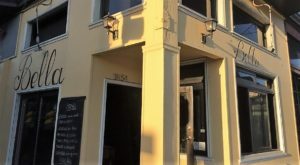 You'll surely be able to see some things that will be memorable here. 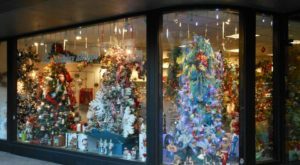 The parade begins at 5:15 pm at 2nd and Market Streets, proceeds west on Market, and then west to Geary Street to Union Square. 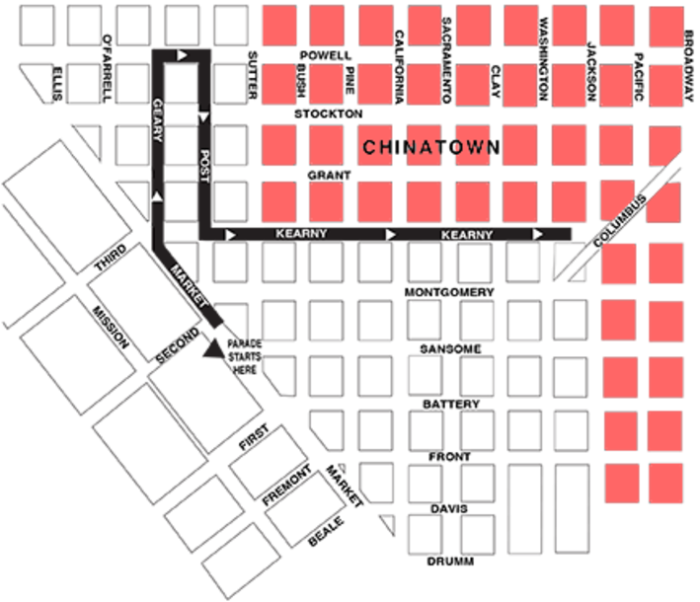 The parade then turns north on Powell Street, east on Post Street and north on Kearny Street to Columbus Avenue where the parade will end. 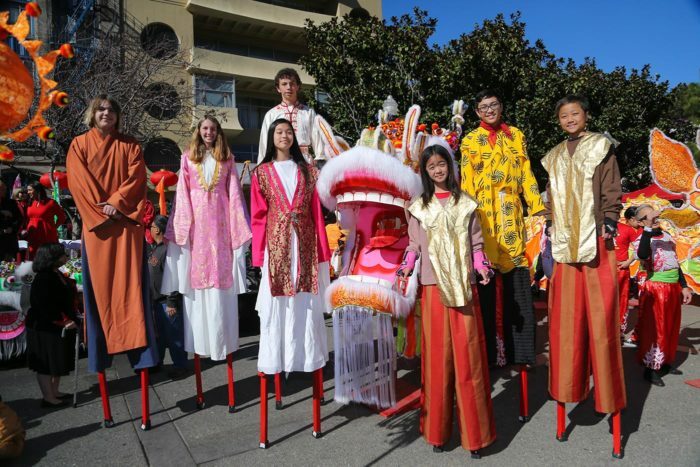 Over 100 groups and units are expected to participate in the Southwest Airlines Chinese New Year Parade this year. Amazingly, the New Year celebration and parade is one of the largest in the world. It is expected that more than three million people watch the parade every year. 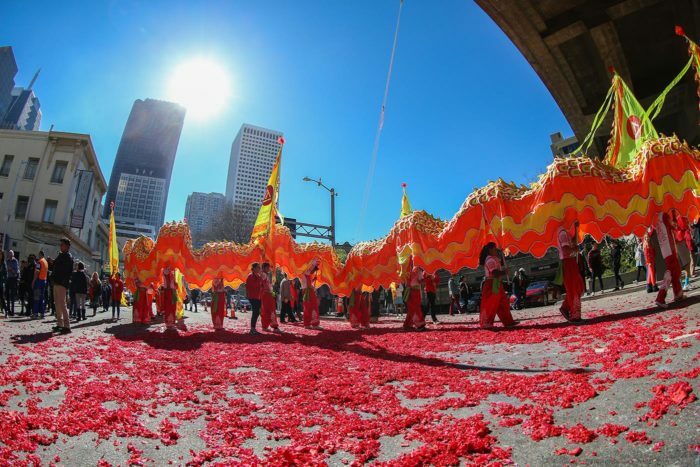 You'll see the dazzling displays of the lunar new year celebration that is an event even outside of Asia. 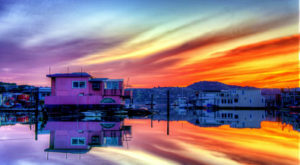 The music, sounds, and colors will surely delight many. 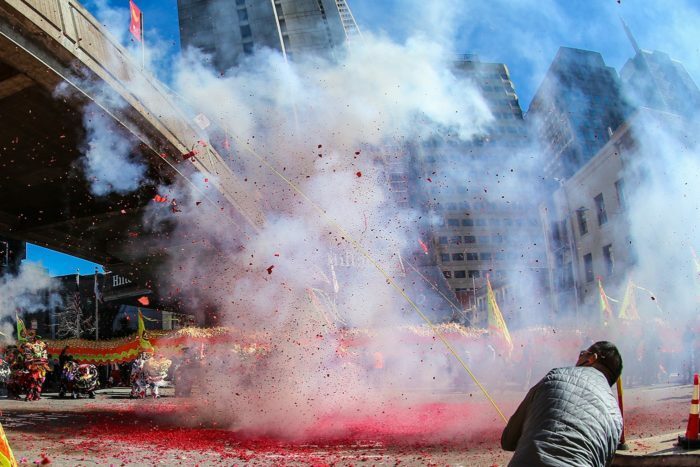 Aside from the gorgeous floats, expect ferocious lions and of course exploding firecrackers! 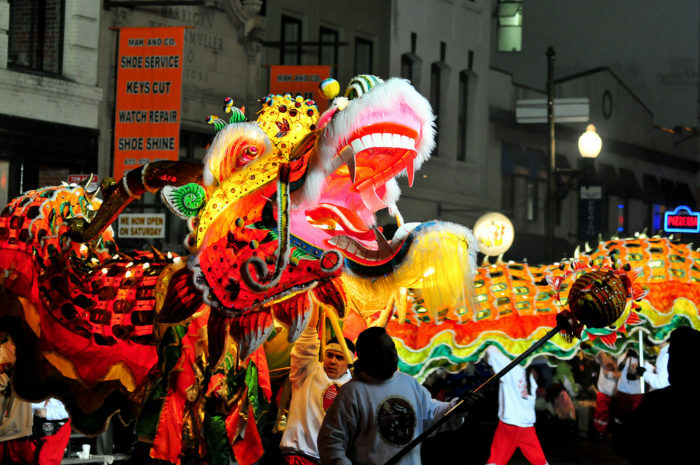 Stay for the whole parade, wait and watch out for the 28-foot-long Golden Dragon. 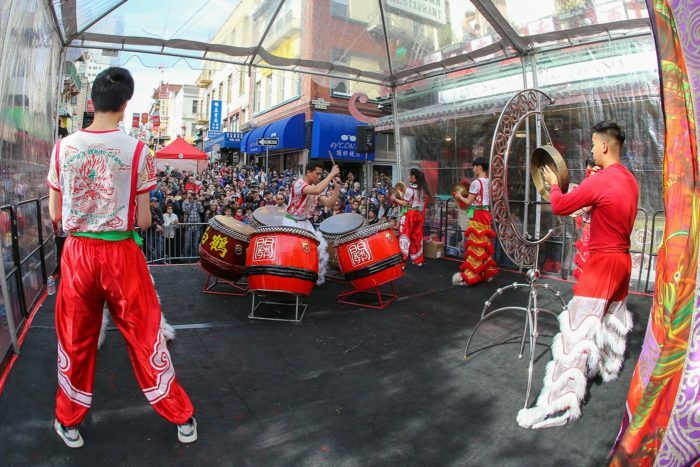 It takes a team of more than 100 people to just move and operate the dragon through the streets of San Francisco! 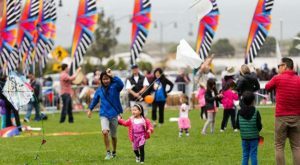 Learn more about the Chinese New Year Parade & Festival from the Chinese New Year Parade Site for information. Have you been on this tour? Share your opinions in the comments below. 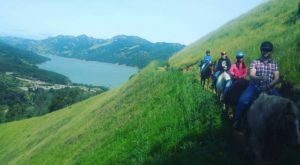 If you want to do wonderful things, then Watch Whales From This One Enchanting Spot In San Francisco Without Ever Leaving The City.